Farren is an Edmonton-based actor, writer and director. He became the Artistic Director of Alberta Opera in 2006, and has since written and directed a number of productions for the company, including Little Red Riding Hood, Pinocchio, Sleeping Beauty, Aladdin, Rumpelstiltskin, The Steadfast Tin Soldier and Hansel and Gretel. Other directing credits include Songs for a New World at the 2005 Edmonton Fringe Festival; Buddy: The Buddy Holly Story (Co-director) and The 25th Annual Putnam County Spelling Bee for the Mayfield Theatre; Everybody Goes to Mitzi’s and The Infinite Shiver for Teatro La Quindicina (both of which he also wrote the lyrics for); Pippin and Crazy for You (Assistant Director) at the Citadel Theatre; and The Light in the Piazza for Grant MacEwan University. Acting credits include Peter and the Starcatcher, Alice Through the Looking Glass, Make Mine Love, and Monty Python’s Spamalot for the Citadel Theatre; Made in Italy for Western Canada Theatre; The Light in the Piazza for Theatre Calgary; As You Like It and Coriolanus for Freewill Shakespeare Festival; Marvellous Pilgrims, The Scent of Compulsion and A Rocky Night for His Nibs for Teatro La Quindicina; Waiting for Godot for Wishbone Theatre; and, Little Shop of Horrors, Gentleman Prefer Blondes and Footloose for the Mayfield Theatre. Farren has been honoured by the Elizabeth Sterling Haynes Awards on a number of occasions, most recently for his performance in Monty Python’s Spamalot and for his direction of Pinocchio. In 2015, Farren was included in Avenue Magazine’s prestigious list of Edmonton’s Top 40 Under 40, in recognition of his artistic contributions to the city. This season, in addition to his work with Alberta Opera, Farren can be seen performing in Shakespeare in Love at The Citadel Theatre. Farren resides in Edmonton with his wife, celebrated performer Patricia Zentilli, and their incredible six year-old son, Leonardo. Garner was with Alberta Opera for 20 years, and he is delighted another generation of young people are able to enjoy this adaptation of Jack and the Beanstalk and Jeff Unger's wonderful music. After 11 years away from the business, Garner recently attended the Workshop West Theatre Playwriting Bootcamp..it was good! He is working on a new thing, Commune: The Musical! 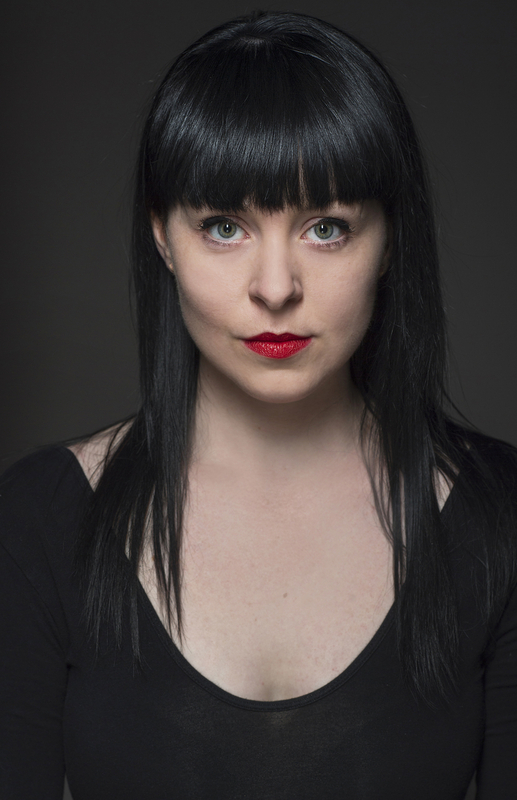 Lana Michelle Hughes is an actor, director, playwright, sound designer and producer based out of Edmonton. Selected acting credits include: Loud & Queer Cabaret (Guys in Disguise), The Anxiety Project and The National Elevator Project (Theatre YES), Dead Centre of Town (Catch the Keys Productions), Birdie On The Wrong Bus and Fairy Catcher’s Companion (Promise Productions), Love(her)/Fight(her) (Urban Curvz), Mother Courage (ABBEDAM), The Laramie Project (Citadel Theatre), Going Down… and Target Audience (Running In Heels Productions), and No Wonder(land) (Nextfest). Selected directing credits include: The Remarkably True, Real Life Adventures of Callie Montgomery (Promise Productions/Skirts of Fire Festival), Encounters (Citadel Theatre), Bust ‘Em Up Burlesque, The Hollywoodland Burlesques, A Bronte Burlesque, and Tudor Queens: A Burlesque (Send In The Girls Burlesque), Two Seconds To Paradise (One Story Window Theatre) and Hungry (New Works). A B.A grad from the University of Alberta, she has also studied with One Yellow Rabbit, Punchdrunk, Ghost River Theatre, Dramaworks, Michael Kennard, Interrium (Banff Centre/Spring Boards) and Karen Hines. She sat on the board of Alberta Playwright's Network for four years, and was a high school mentor for Nextfest for 4 years. She also spends her days as the Managing & Communications Associate at Catalyst Theatre. Erik is an accompanist, musical director and composer based in Edmonton. His credits include: The Last Five Years for Theatre Network; Score composition for Jack and the Beanstalk and Cinderella at Fort Edmonton Park; Drat the Cat for The Plain Jane’s; Honk for Grindstone theatre; Forget Me Not and Valentine's Train for Andrea House. He has received Sterling award nominations for both Drat the Cat and Honk. He has toured 700+ shows with Alberta Opera and is thrilled to be returning to music direct Jack and the Beanstalk. He has played Teatro la Quindicina shows including That’s Terrific, An Experts Guide to the Entirety of Music and The Nutcracker Unhinged. Erik has toured the fringe circuit as keyboardist for Grindstone Theatre’s improvised musical The 11 O’Clock Number. He has worked with internationally renowned improv theatre companies including Die-Nasty and Rapid Fire Theatre. Erik wears many hats in the music community as a studio musician, performer and educator, and has had the pleasure of working with many acclaimed artists. Ainsley Hillyard is an Edmonton-based choreographer, performer and educator who works in contemporary dance and theatre. She has been a collective artist with the Good Women Dance Collective since 2009. Ainsley's choreography credits include; The Other, Bears Sterling Award for Outstanding Choreography, (Pyretic Productions); Beckett’s Shorts, Genius Code (Surreal SoReal Theatre); Ursa Major, Snout (Catch The Keys Productions) and 9 Parts of Desire (The Maggie Tree). Her work with Good Women Dance also includes the curation of Dancefest for the Nextfest Arts Company and teaching ongoing company classes open to the public. Upcoming this season, Ainsley will be working on a new project with Louise Casemore at Ghost River Theatre and assistant choreographing for Hadestown at the Citadel. Deanna was the original costume designer for Alberta Opera’s 2012 production of Jack and the Beanstalk and is excited to revisit this magical tale. She has also created costumes for Alberta Opera’s Hansel and Gretel and Aladdin. The Edmonton based designer has worked with numerous local theatres, garnering 8 Sterling nominations and 3 Sterling awards for best costume design. Currently she is the head of wardrobe and resident costume designer at Edmonton Opera where she has designed costumes for recent productions of Elektra, La Cenerentola, and Carmen. Erin is thrilled to be returning to Alberta Opera after stage managing Hansel and Gretel in 2016. Recent work includes Peter and the Starcatcher, A Christmas Carol, Alice Through the Looking Glass, and BOOM (Apprentice Stage Manager, Citadel Theatre) and stage management for Reflections, Encounters, and Evolution (Citie Ballet), Star Killing Machine (Broken Toys Theatre), Afterimage (Citadel Young Company); Category E (Maggie Tree); The Contract (MadFandango Theatre Collective); Proud (theatre no. 6); and Three Sisters (Broken Toys Theatre). Erin is a graduate of the BFA Stage Management program at the University of Alberta. Rachel is a recent graduate of the Theatre Arts Program at MacEwan University. While studying there she took part in Curtains: The Musical, The Drowsy Chaperone, Footloose and Into the Woods. Marc is an Edmonton based actor, singer and dancer. He has recently graduated from the University of Alberta’s BFA Acting Program you may know him as Deon in Colleen Murphy’s Bright Burning. Marc has spent his last few months Supervising at Artstrek Theatre Camp, and portraying Ambrose in award winning playwright Michele Vance Hehir’s new piece: Ruination, as well as Officer Barrel in Grindstone Theatre’s Urinetown at the Fringe. Ethan's been doing this theater thing for a while now, and he's not stopping anytime soon. He's already climbed a Beanstalk, devoured people inside a giant plant puppet, and even did a show about pee! Ethan recently graduated from Grant MacEwan and is very excited for a future of acting! Talesa Caufield started her education in music at the age of 4, in a Music for Young Children's class, and never looked back. Excelling in and loving her musical endeavours she continued to take piano and voice lessons, and was involved in every musically related extracurricular offered at her schools. Having the opportunity to attend secondary school at the Victoria School of Performing and Visual Arts in Edmonton- many musical opportunities were offered, and as mentioned Talesa took great pleasure in taking part in them all. After achieving up to her Grade level 10 in the Royal Conservatory Examinations in piano performance, Talesa went on to Grant MacEwan University to study Jazz and Contemporary Music majoring in Piano Performance. Talesa has had many an opportunity to work in the Edmonton community as a musician, performer, and piano accompanist; and is most especially thankful to be rejoining the Alberta Opera this season (after having previously toured with their shows of Aladdin and Rumpelstiltskin) to perform with them for you, this year's Jack and the Beanstalk! She is so excited to work with such a fantastic group of talented individuals, revisit old friends from Alberta Opera, and tour our beautiful province once again to bring you one of their wonderful shows. If you haven't seen any of Alberta Opera's work before, you're in for a real treat!